It's that time of year again. Fall is for baking. 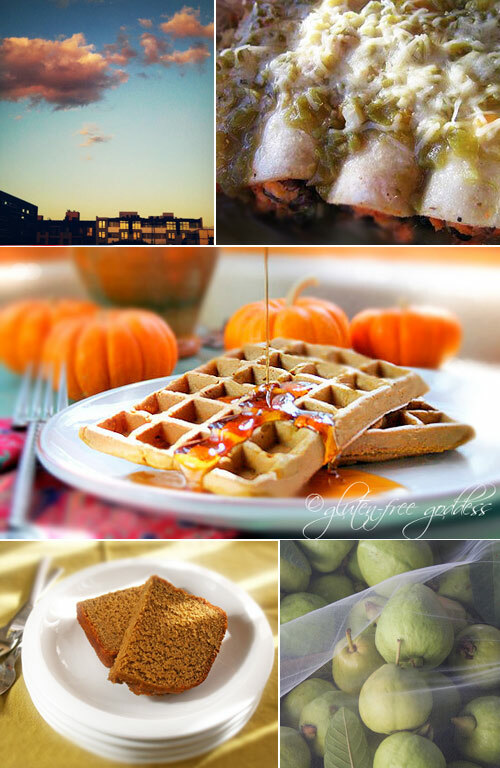 Welcome to my favorite Fall recipes- my collection of gluten-free comfort food for the golden, burnished season of Autumn. From harvest inspired appetizers to cinnamon laced baked goodies, from pumpkin soups to cozy casseroles, flavors are warm, homespun, and inviting- perfect for cool, clear days and early nightfall. Take your inner domestic goddess by the hand. Grab your apron. Rustle up your favorite gluten-free ingredients. Turn on your oven. Fill your kitchen with the comforting scents of apples and cinnamon, cranberry and pumpkin, butternut and maple, nutmeg and curry.